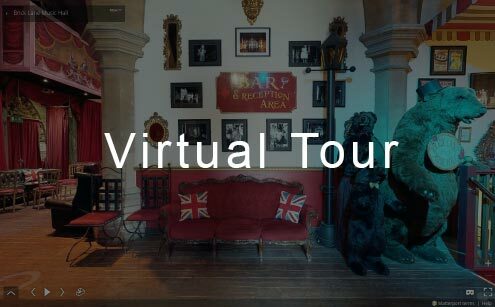 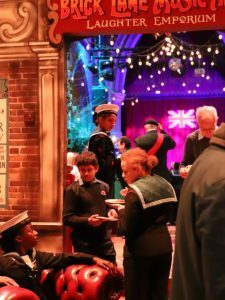 When Brick Lane Music Hall moved to its current home in Silvertown, in the former church of St. Mark’s, the war memorial housed in the grounds had become overgrown and was out of use, along with the church. 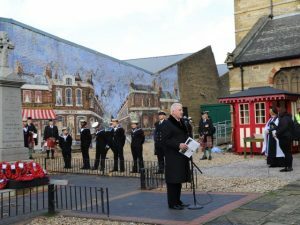 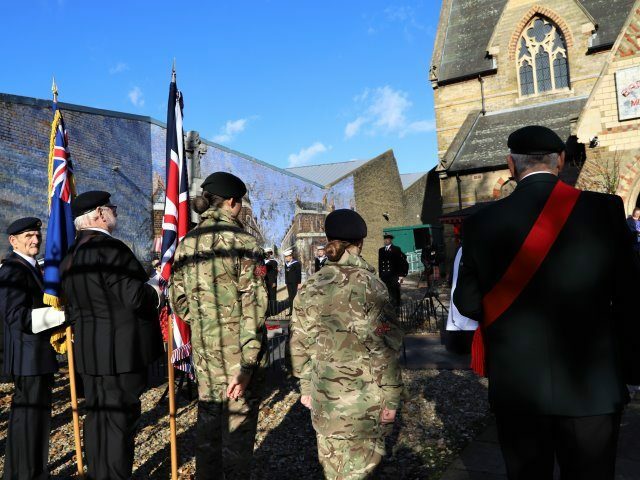 As well as restoring the church, the decision was taken to restore the memorial and to paint a fitting mural as a backdrop to reflect the lives of local people through history, including a field of poppies to mark their sacrifices. 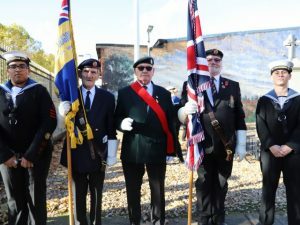 The Silvertown Royal British Legion were subsequently able to resume their annual parade to the memorial and now every year a Remembrance Day Service and laying of wreaths is held in the grounds of Brick Lane Music Hall. 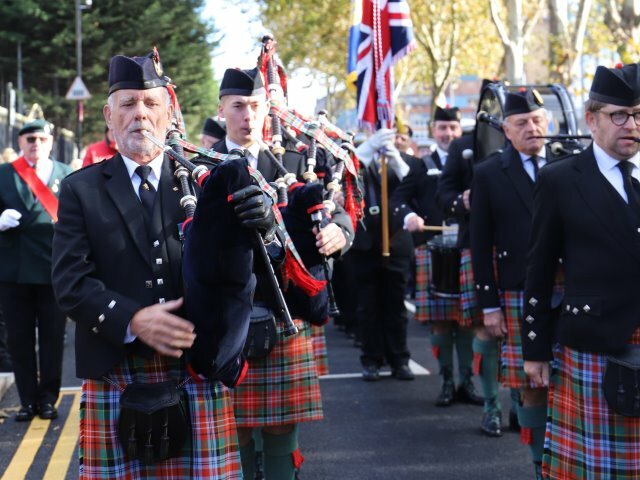 This year the Caledonean Pipe Band led the parade from Silvertown British Legion to the memorial in the grounds of Brick Lane Music Hall. 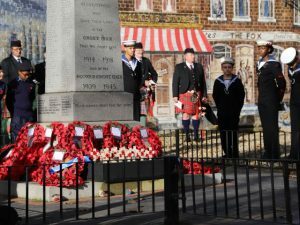 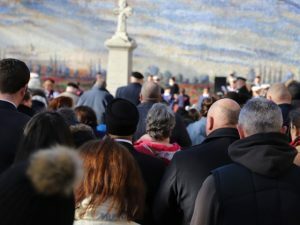 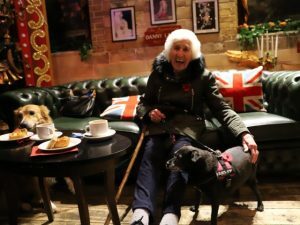 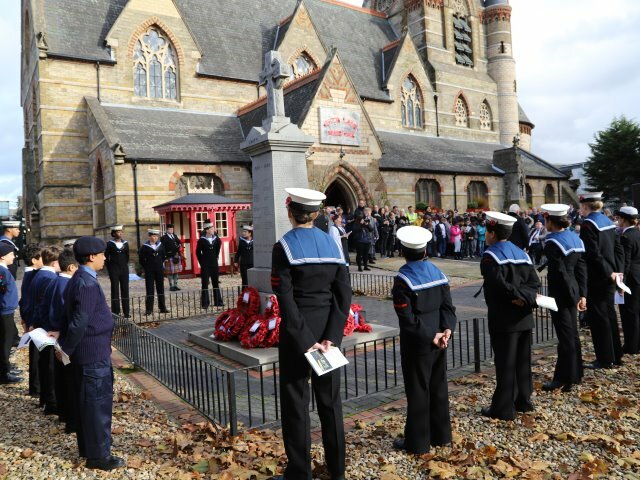 They were joined by local families, the West Ham Sea Cadets, local police and council officials, as well as many volunteers, veterans and members of the British Legion. 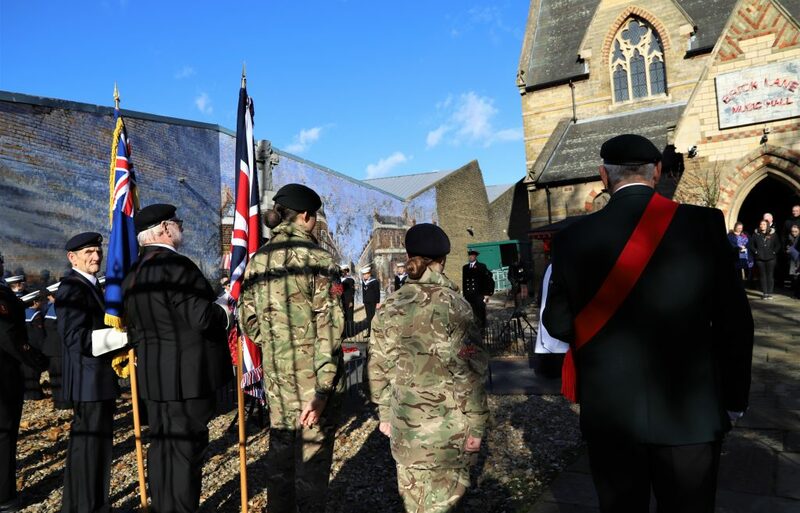 Officiated by the Reverend Anne Easter, pupils from Britannia School sang movingly during the service. 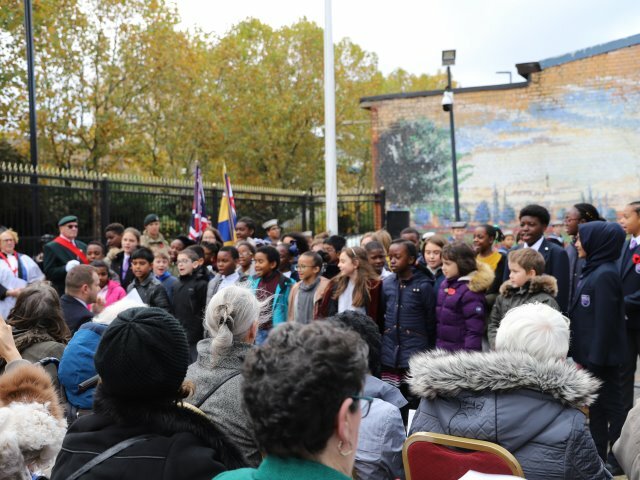 Brick Lane Music Hall artists also took part. 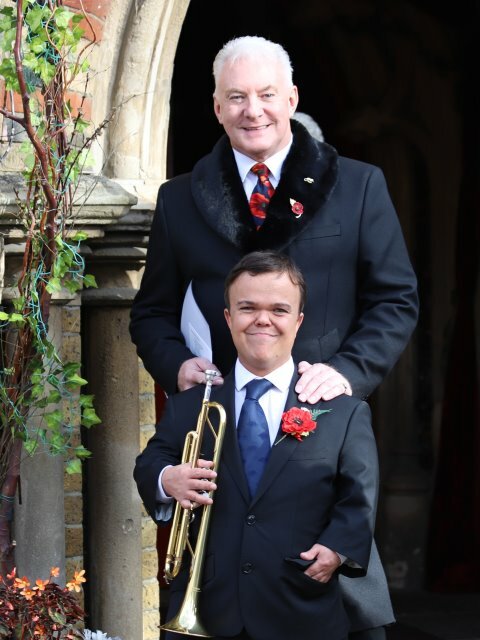 Andrew Robley sang and Ben Goffe played the Last Post in the service. 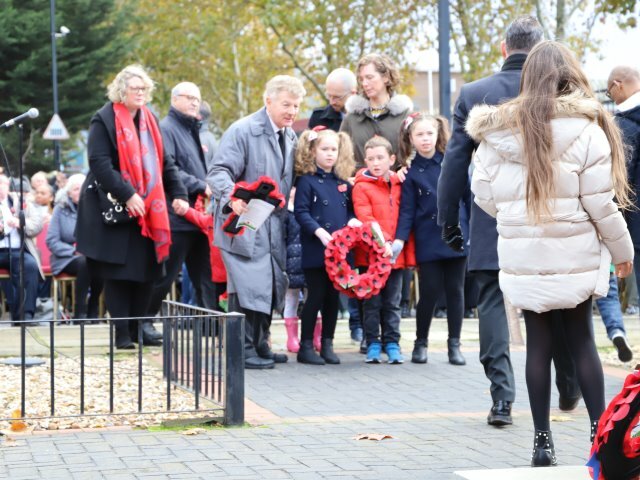 Families took part in the laying of wreaths around the memorial before moving into the Music Hall for a welcome cup of coffee or tea and cakes, served by Brick Lane Music Hall staff and their families who had volunteered their help for the day. 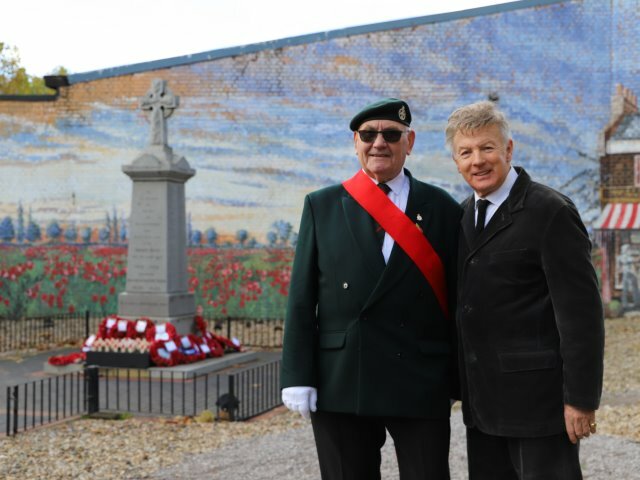 Pictured above, John Griffiths of the Silvertown Royal British Legion with Vincent Hayes of Brick Lane Music Hall, who restored the memorial and hosts the Remembrance Sunday event on an annual basis. 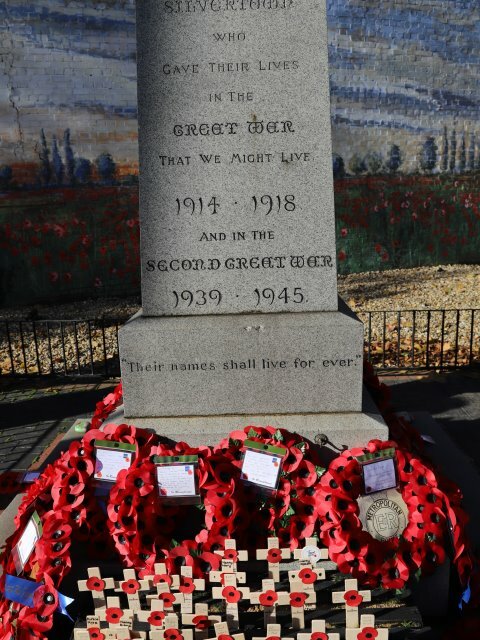 The memorial is now protected by a Grade II listing from English Heritage, noting its importance “as a poignant reminder of The Fallen from both world wars”.